I love to celebrate Dr. Seuss’s birthday with my kiddos and enjoy his stories! 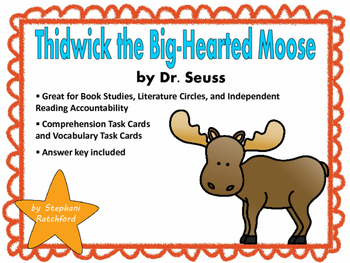 Thidwick the Big-Hearted Moose has a great message for children about standing up for yourself when others try to take advantage. I use comprehension questions that are specific to the text that the students are using. It makes it easier to give them specific feedback and guidance. 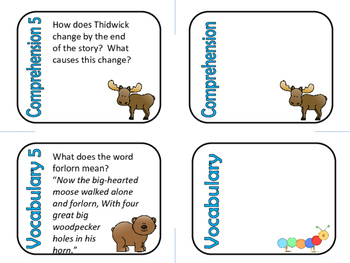 Thidwick the Big-Hearted Moose task card question set has 5 comprehension questions and 5 vocabulary questions with an answer key for easy accountability. 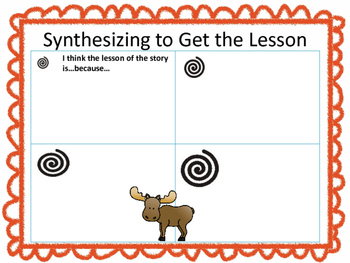 - A central message worksheet that uses synthesizing as a strategy to get to the central message. 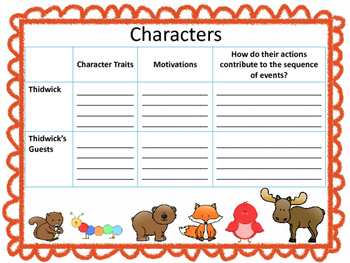 - A character study worksheet with character traits and motivations.